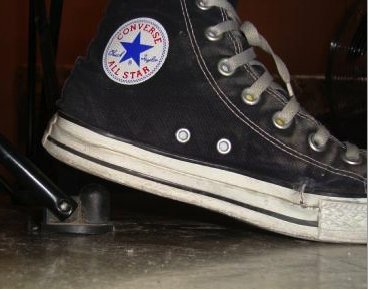 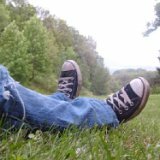 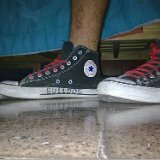 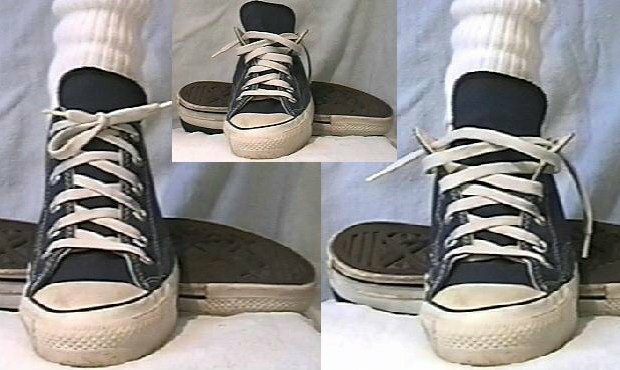 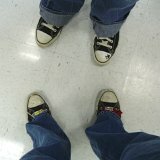 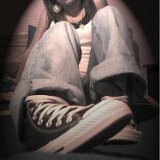 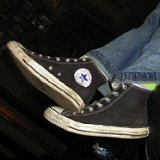 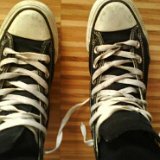 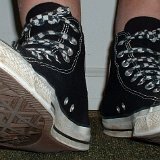 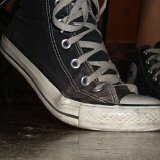 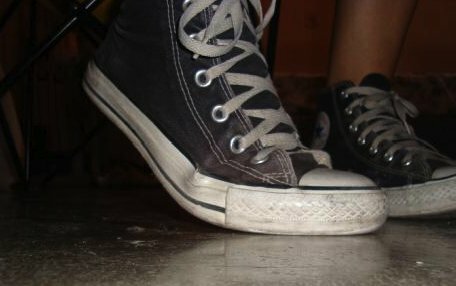 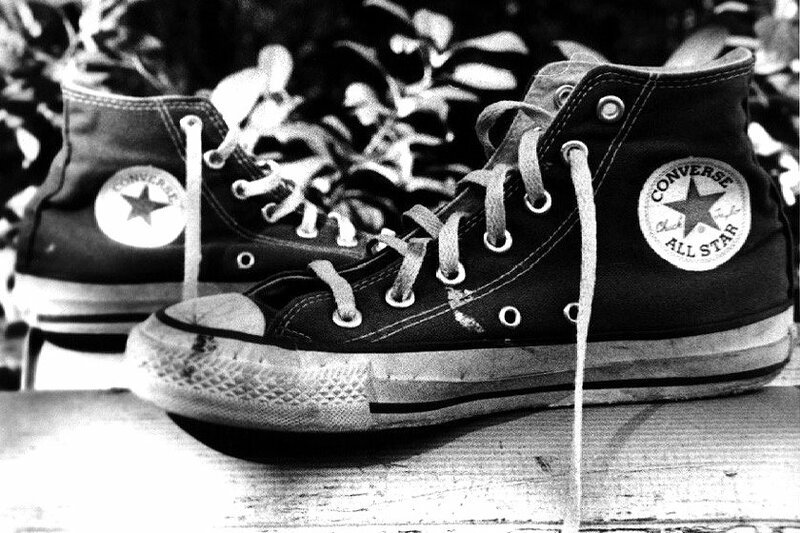 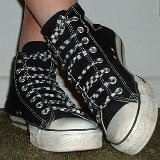 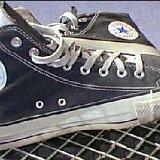 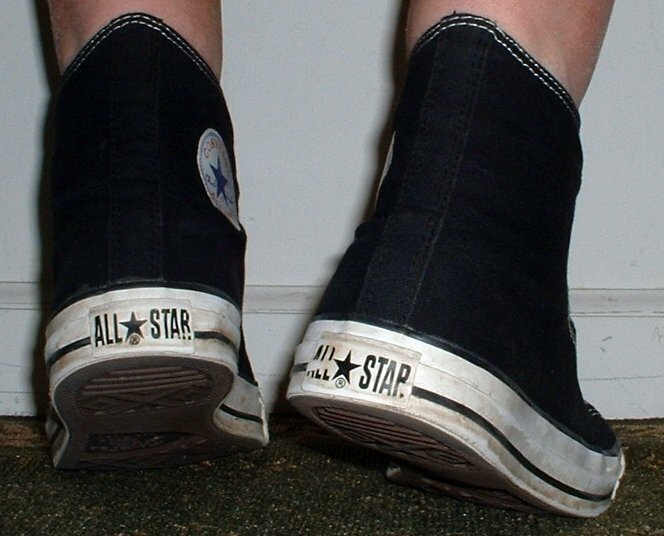 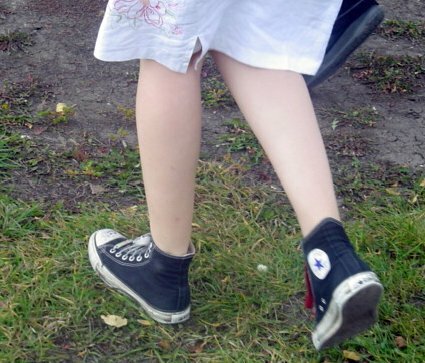 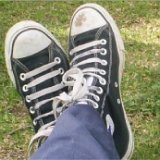 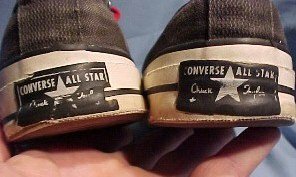 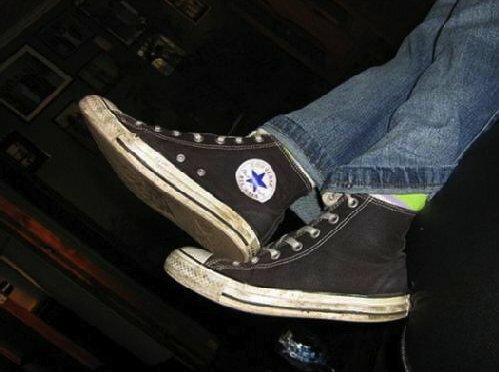 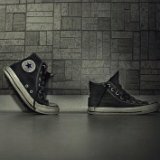 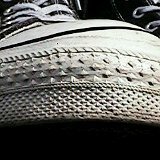 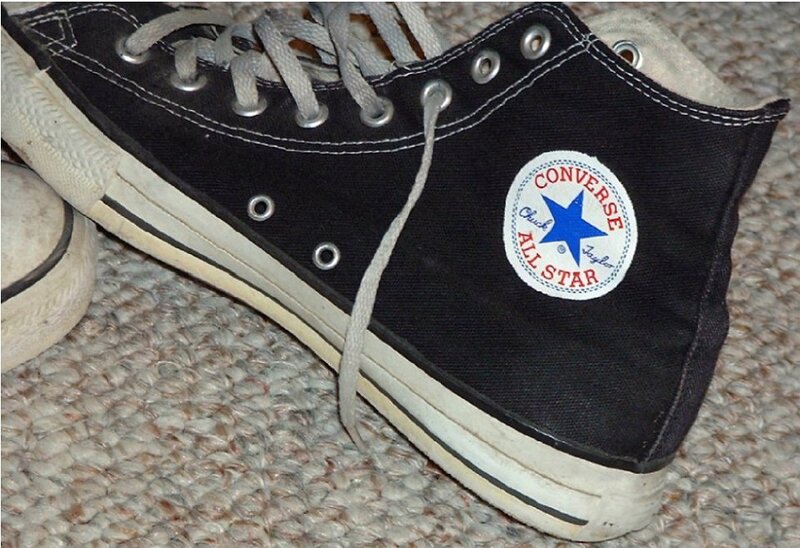 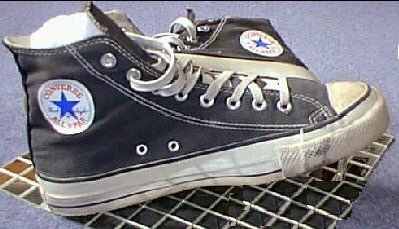 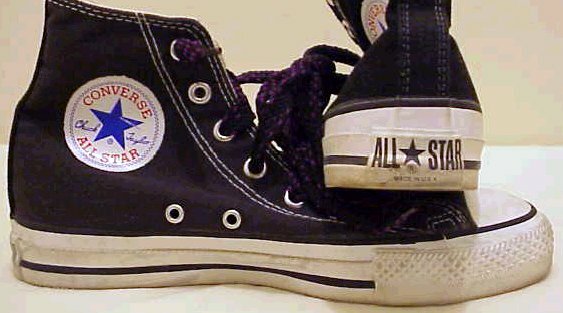 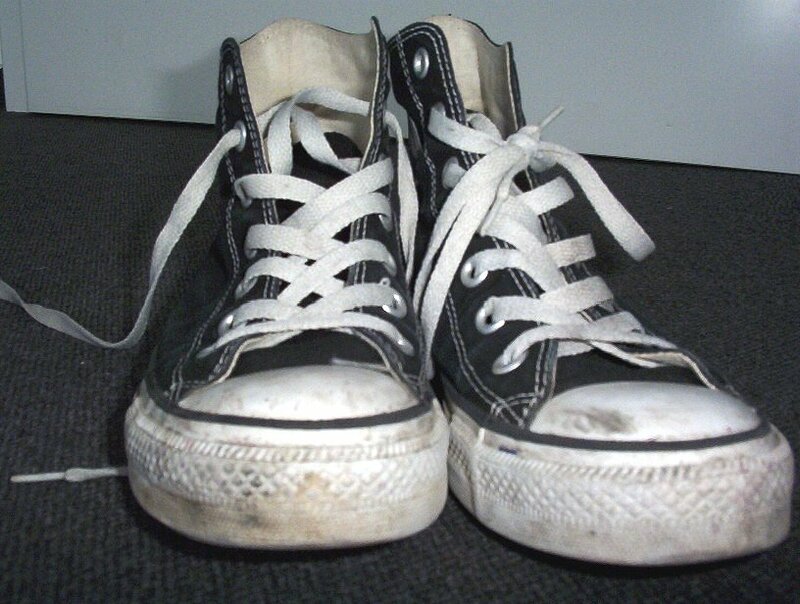 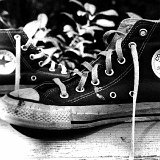 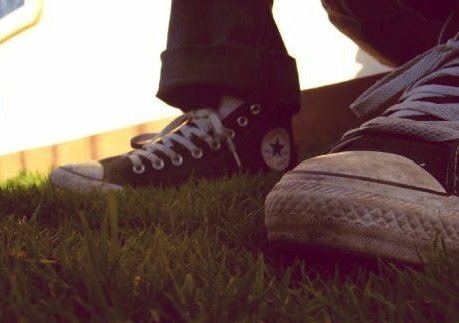 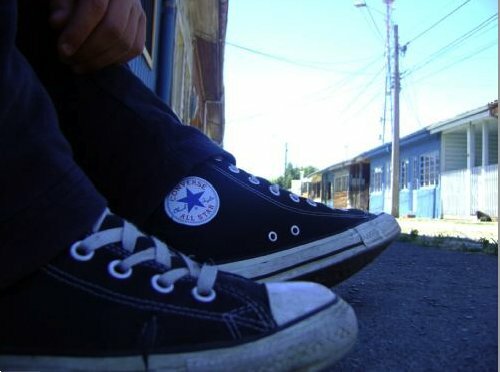 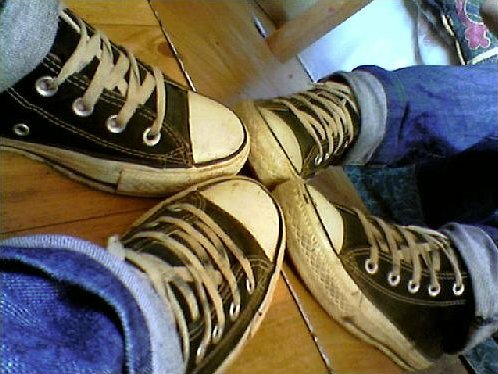 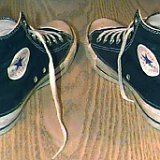 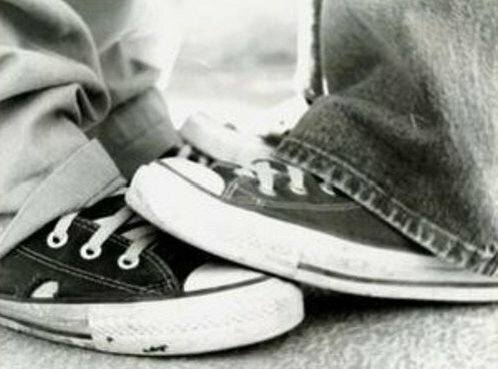 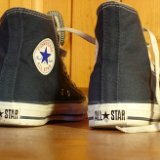 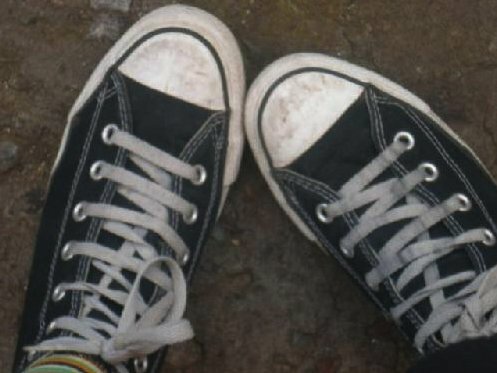 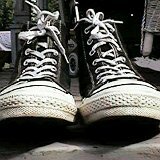 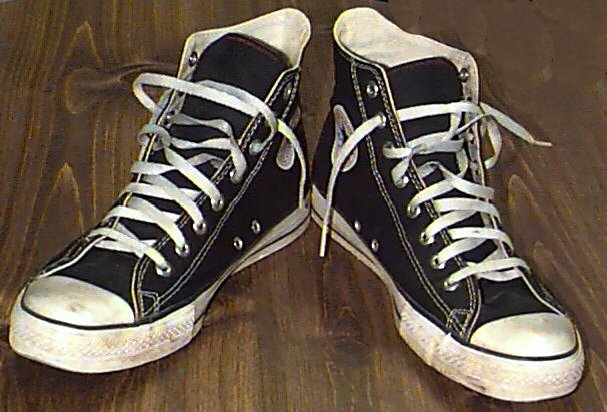 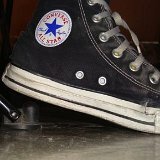 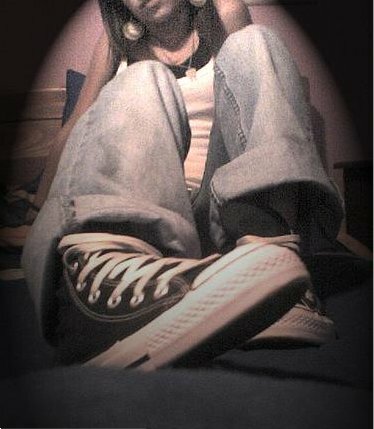 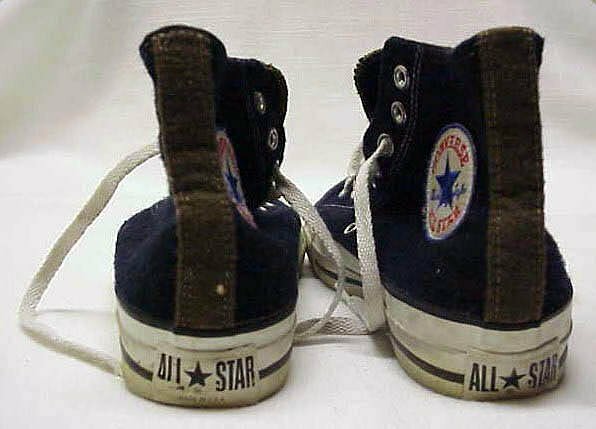 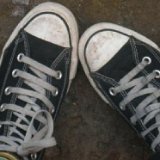 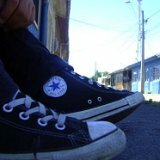 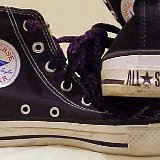 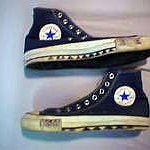 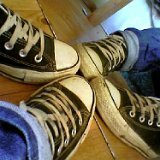 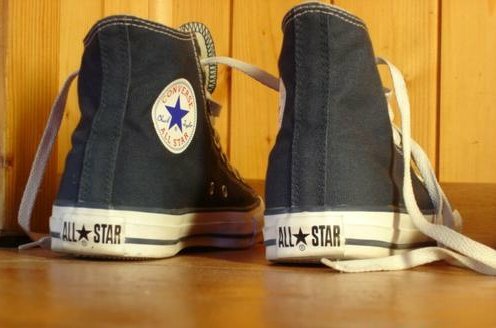 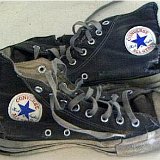 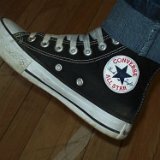 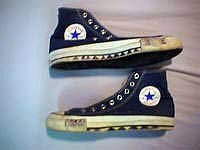 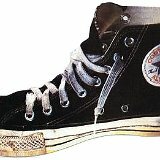 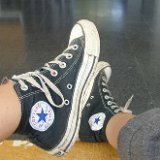 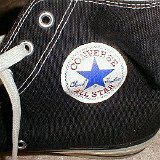 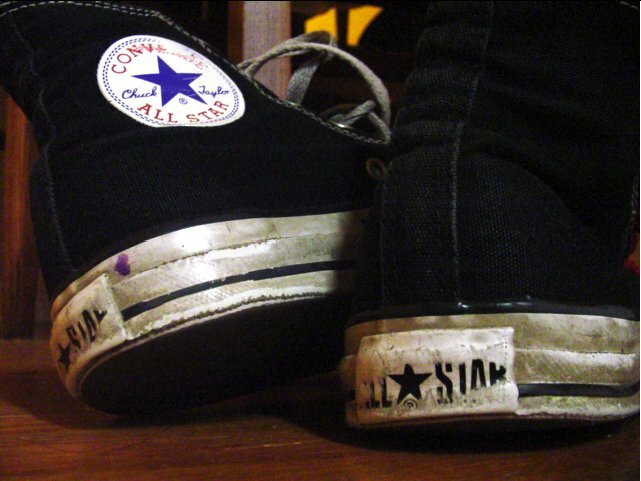 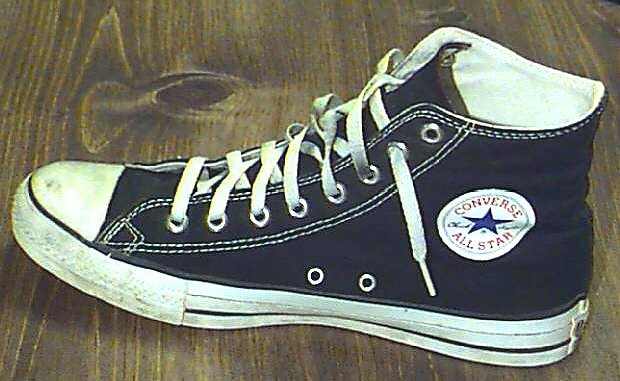 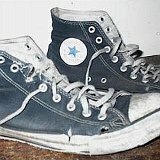 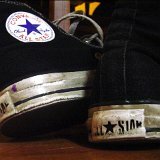 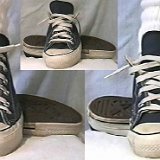 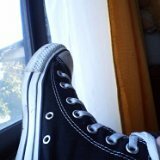 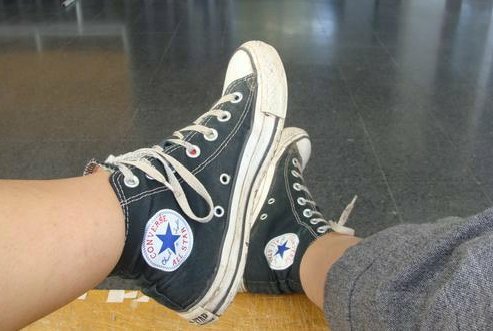 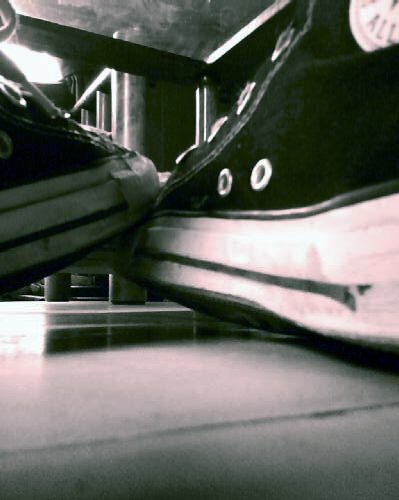 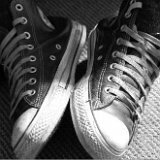 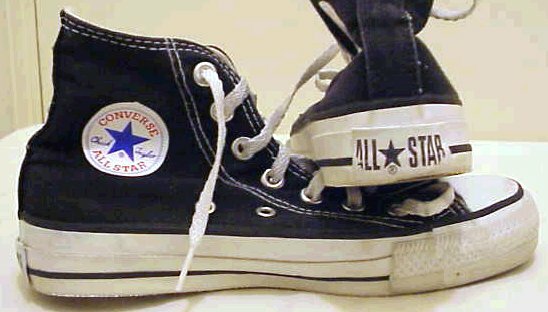 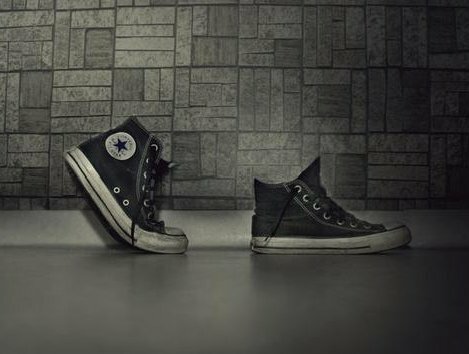 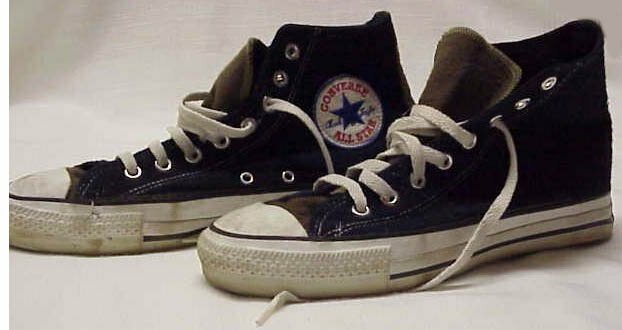 Photo gallery of worn black high top chucks. 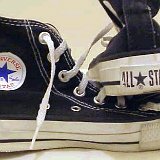 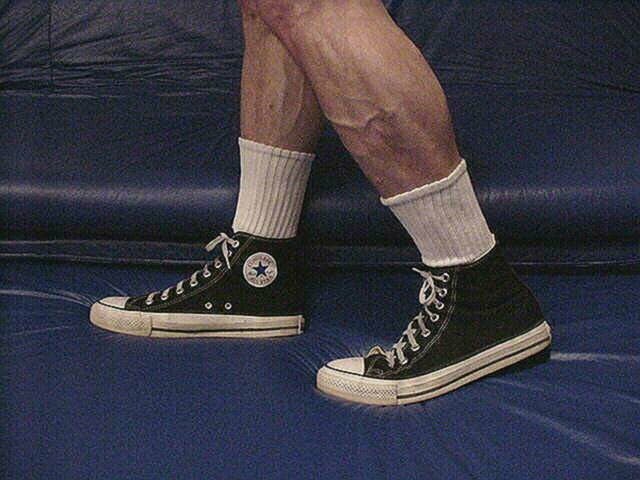 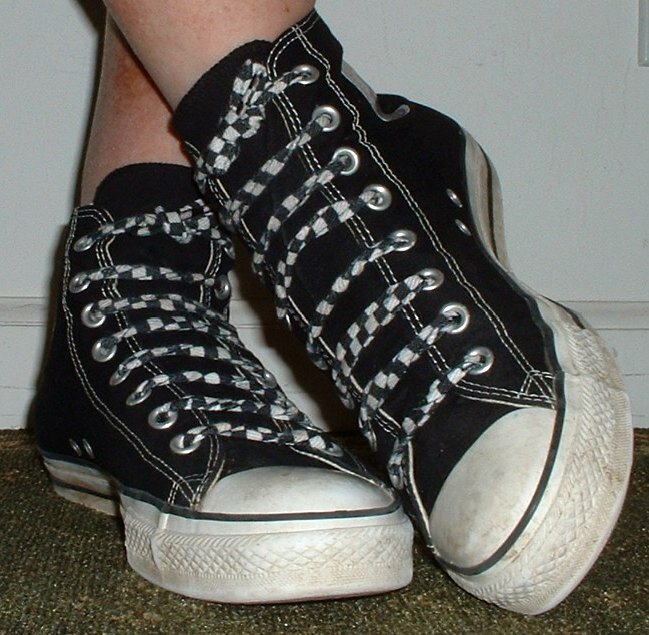 1 Worn Black High Top Chucks Athlete wearing black high top chucks. 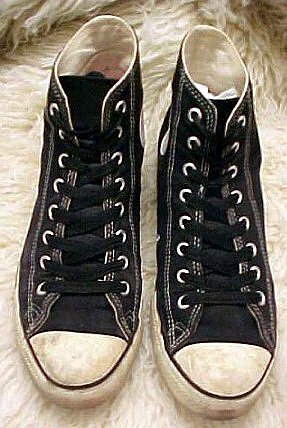 2 Worn Black High Top Chucks Worn black felt high tops with brown felt tongue and rear trim and embroidered side patch, side views. 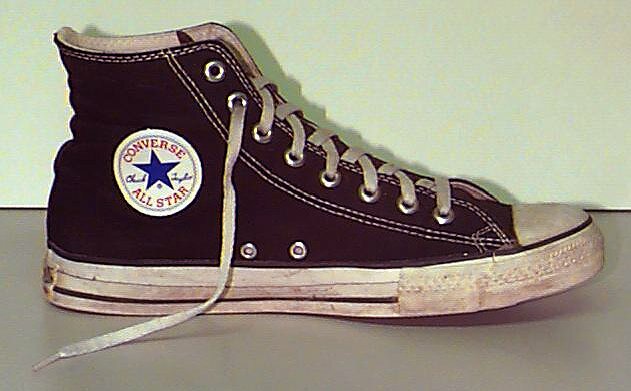 3 Worn Black High Top Chucks Worn black felt high tops with brown felt tongue and rear trim and embroidered side patch, rear view. 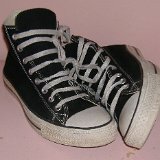 4 Worn Black High Top Chucks Digital grid of black high tops. 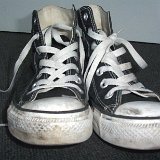 5 Worn Black High Top Chucks Top view of worn black high tops with checkered straight lacing. 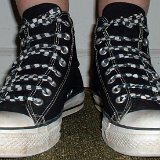 6 Worn Black High Top Chucks Front view of worn black high tops with checkered straight lacing. 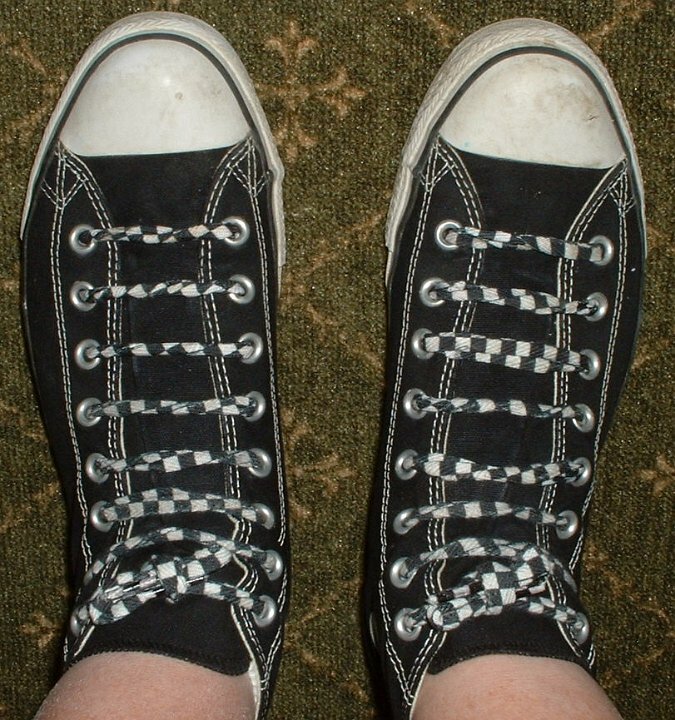 7 Worn Black High Top Chucks Angled front view of worn black high tops with checkered straight lacing. 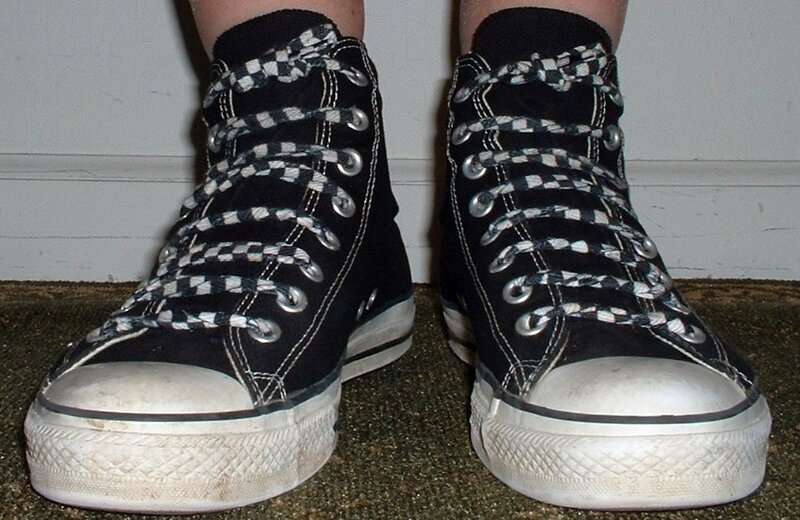 8 Worn Black High Top Chucks Stepping out in worn black high tops with checkered straight lacing. 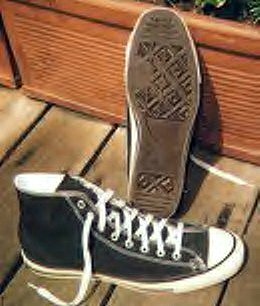 9 Worn Black High Top Chucks Crossed leg front view of worn black high tops with checkered straight lacing. 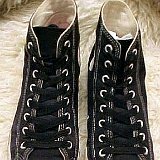 10 Worn Black High Top Chucks Right side view of worn black high tops with checkered straight lacing. 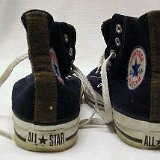 11 Worn Black High Top Chucks Rear view of worn black high tops with checkered straight lacing. 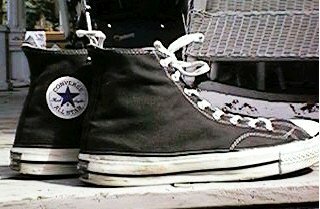 12 Worn Black High Top Chucks Left side view of worn black high tops with checkered straight lacing. 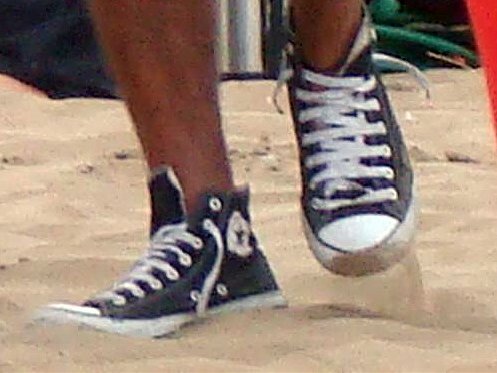 13 Worn Black High Top Chucks A pair of black high tops at the beach. 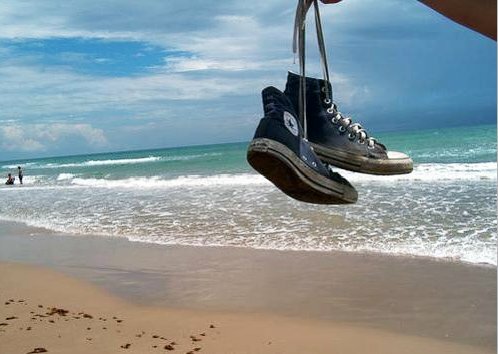 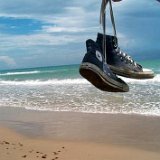 14 Worn Black High Top Chucks Walking on the beach in black high tops. 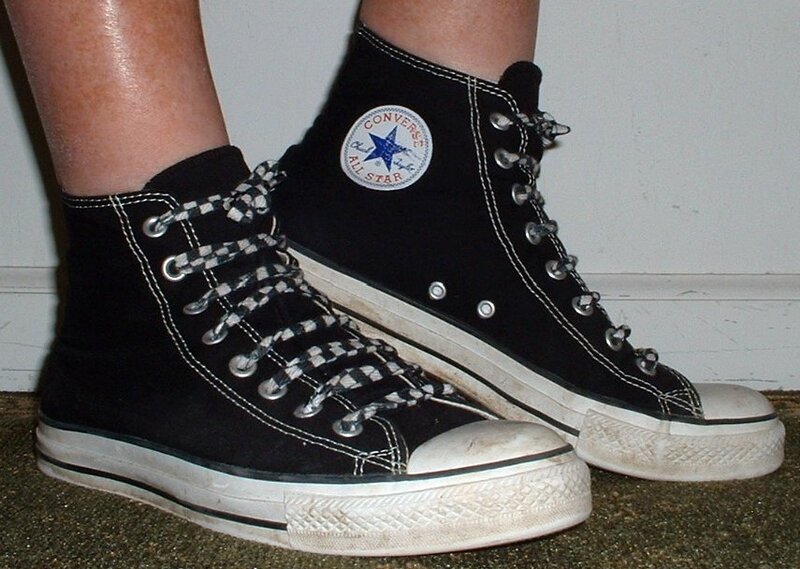 15 Worn Black High Top Chucks Lovers wearing black high tops. 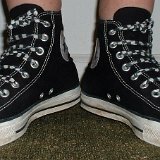 16 Worn Black High Top Chucks Angled front view of black high top chucks with straght lacing. 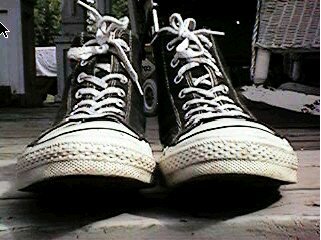 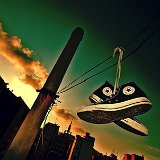 17 Worn Black High Top Chucks Black high tops hanging from a telephone wire. 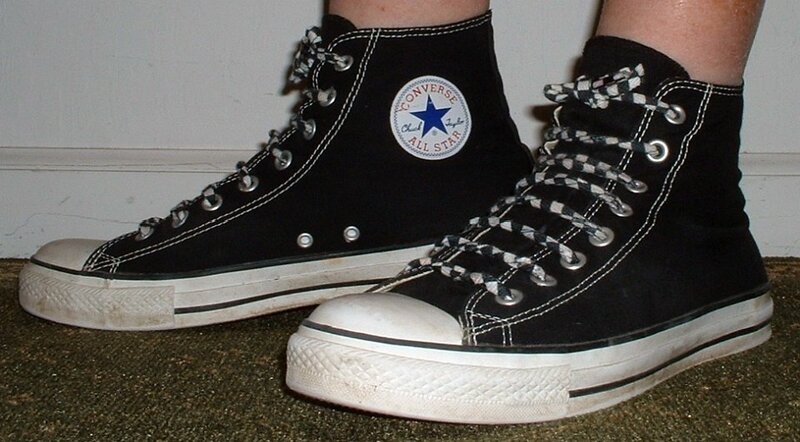 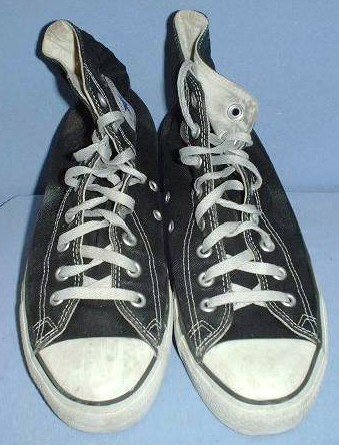 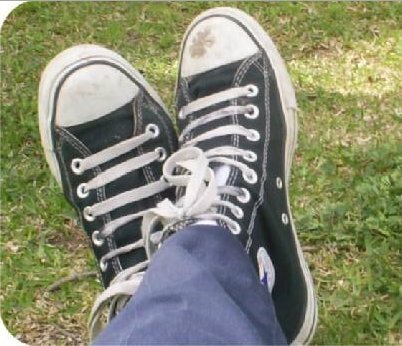 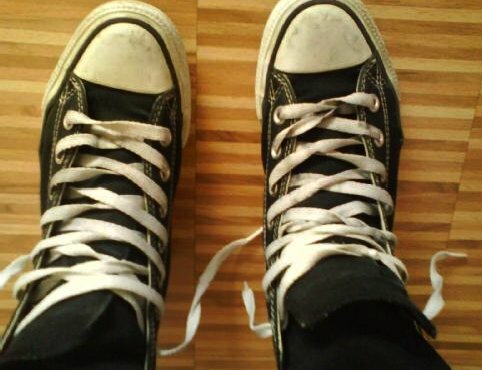 18 Worn Black High Top Chucks Swinging outside in a pair of black high tops. 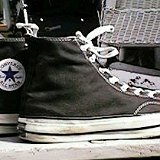 19 Worn Black High Top Chucks Vintage black high tops, outside view. 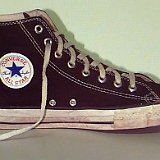 20 Worn Black High Top Chucks Vintage black high tops, rear view. 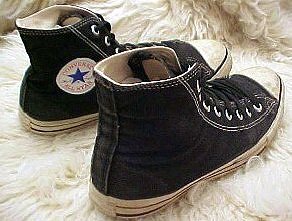 21 Worn Black High Top Chucks Vintage black high tops, front view. 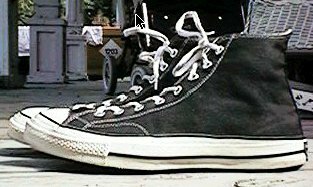 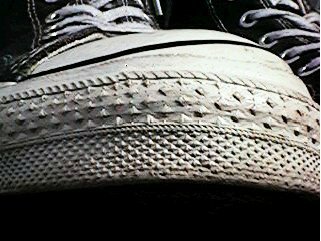 22 Worn Black High Top Chucks Vintage black high tops, close up of the toe guard. 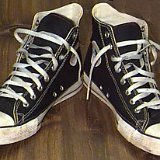 23 Worn Black High Top Chucks Vintage black high tops, angled side views. 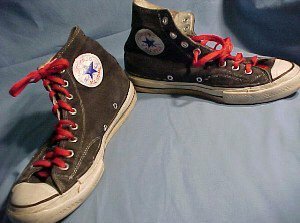 24 Worn Black High Top Chucks Vintage black high tops with red laces, angled side views. 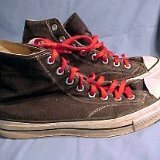 25 Worn Black High Top Chucks Vintage black high tops with red laces, side view. 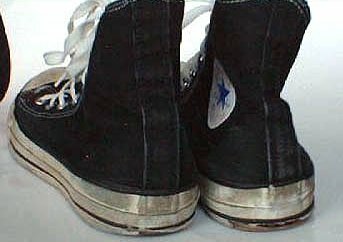 26 Worn Black High Top Chucks Vintage black high tops, rear heel patch view. 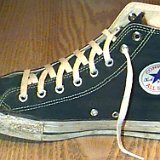 27 Worn Black High Top Chucks Walking black chucks with black laces. 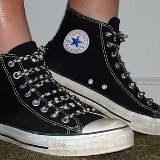 28 Worn Black High Top Chucks Mirror image of black high top chucks. 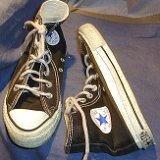 29 Worn Black High Top Chucks Walking in black high top chucks, rear view. 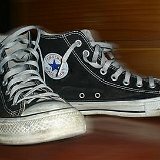 30 Worn Black High Top Chucks Face off wearing black high top chucks. 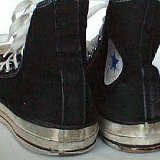 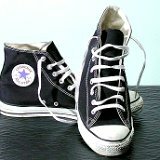 31 Worn Black High Top Chucks Wearing black high top chucks, side view. 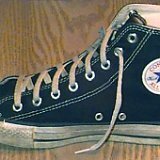 32 Worn Black High Top Chucks Wearing black high top chucks. 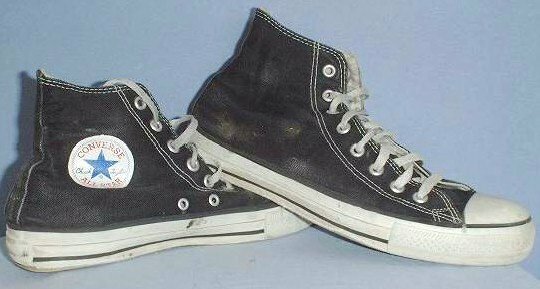 33 Worn Black High Top Chucks Lounging in black high top chucks. 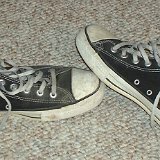 34 Worn Black High Top Chucks Relaxing in straightlaced worn black high tops. 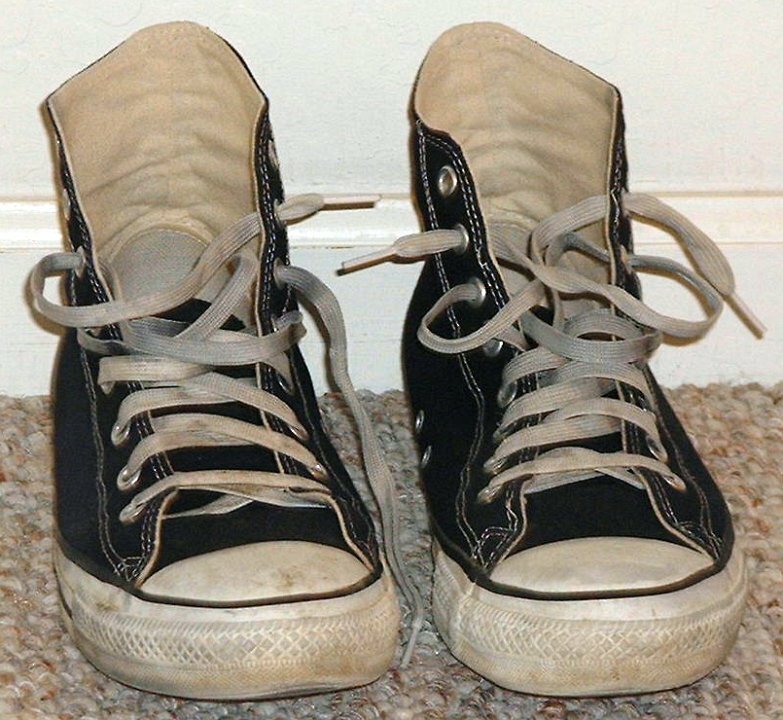 35 Worn Black High Top Chucks Relaxing in a pair of black high tops. 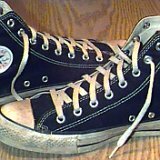 36 Worn Black High Top Chucks Top view of worn black high tops with alternate lacing. 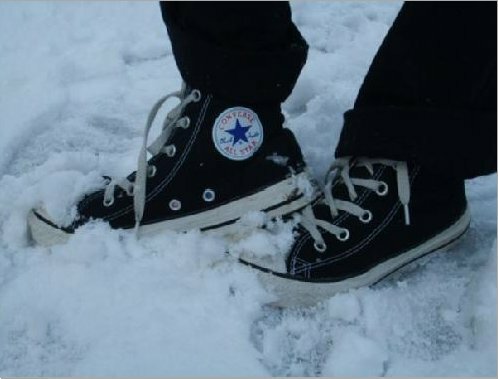 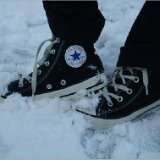 37 Worn Black High Top Chucks Wearing black high top chucks in the snow. 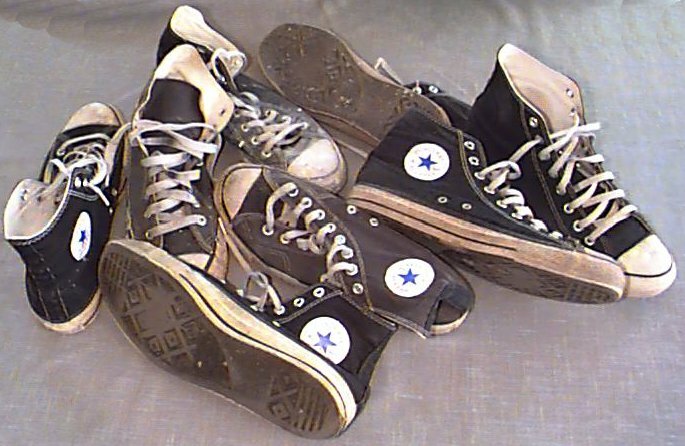 38 Worn Black High Top Chucks Collage of black high top chucks. 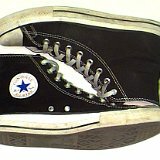 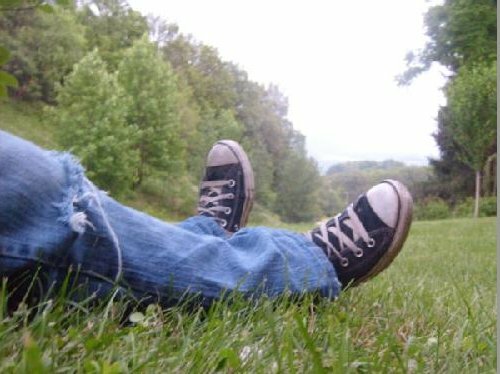 39 Worn Black High Top Chucks Lying in the grass. 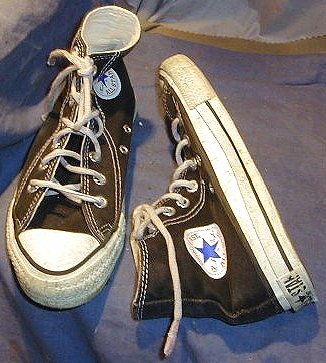 40 Worn Black High Top Chucks Wearing black high tops, right side view. 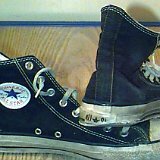 41 Worn Black High Top Chucks Inside patch view of a left black high top. 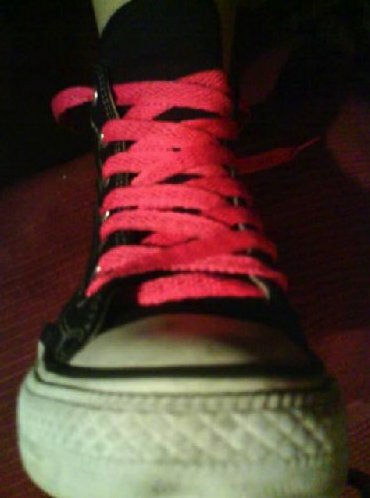 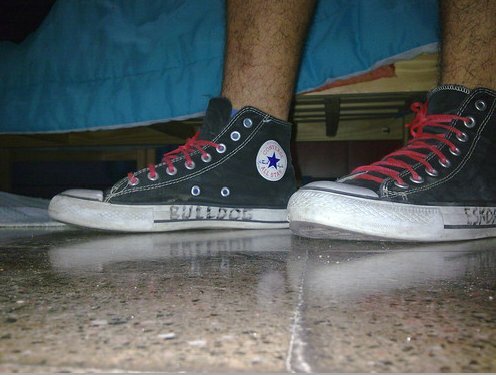 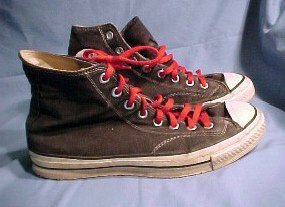 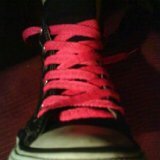 42 Worn Black High Top Chucks Wearing black high tops with red laces. 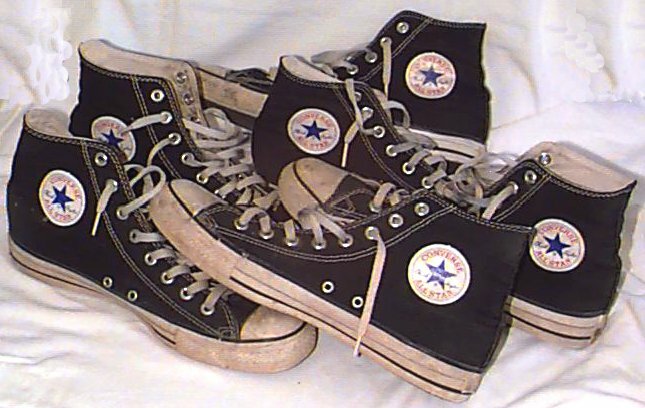 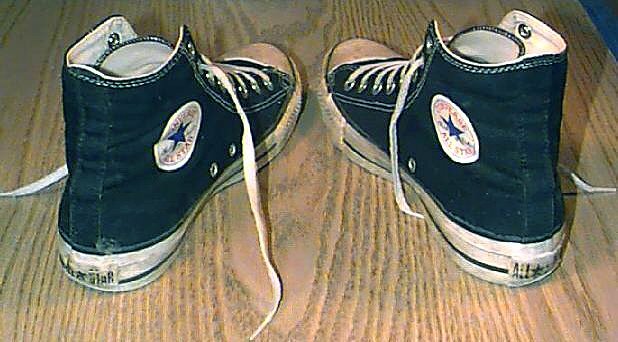 43 Worn Black High Top Chucks Angled front and top view of black high top chucks. 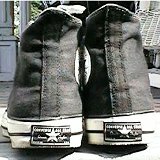 44 Worn Black High Top Chucks Black high tops in the shade. 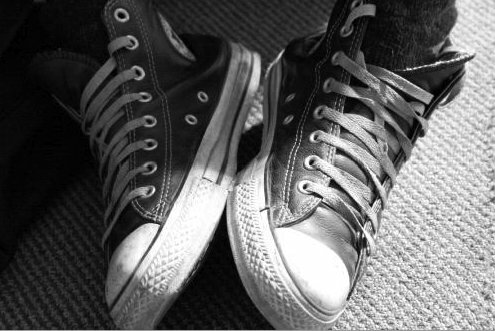 45 Worn Black High Top Chucks Extreme inside closeup of black high top chucks. 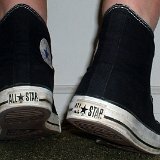 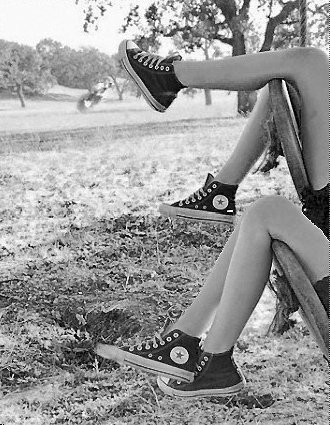 46 Worn Black High Top Chucks Lounging outside in black high top chucks. 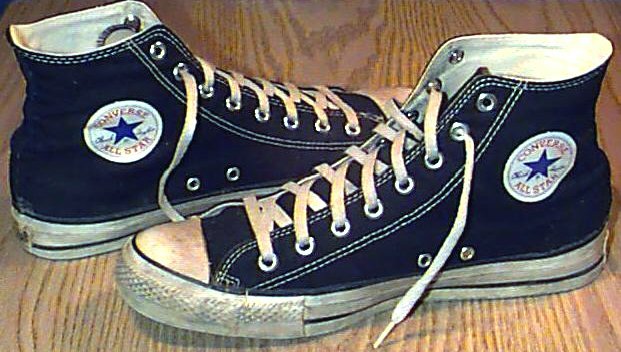 47 Worn Black High Top Chucks Inside patch view of a right black high top and jeans. 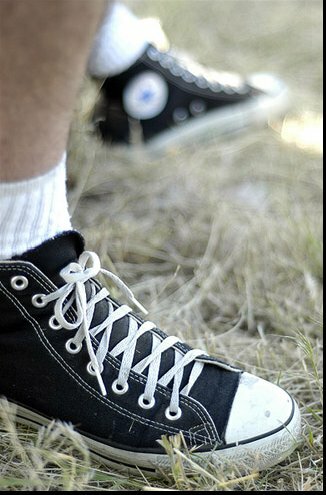 48 Worn Black High Top Chucks Angled side view of worn black high tops on a field. 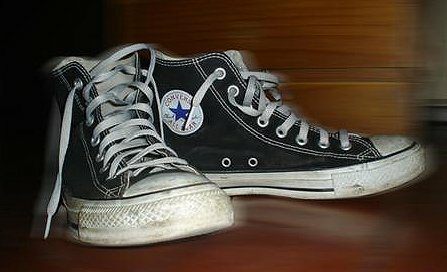 49 Worn Black High Top Chucks Relaxing by a window. 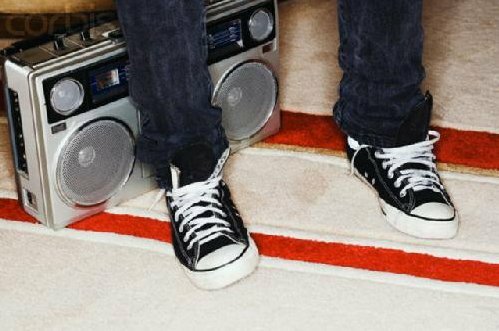 50 Worn Black High Top Chucks Worn black chucks in front of a boom box. 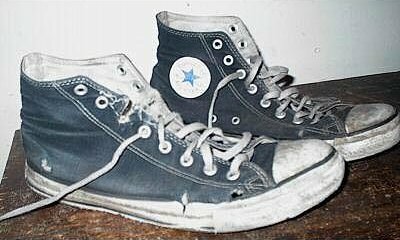 51 Worn Black High Top Chucks Relaxing in a worn black high top. 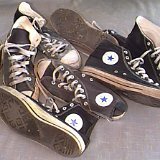 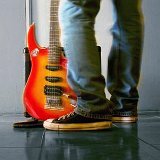 52 Worn Black High Top Chucks Guitar and black high top chucks. 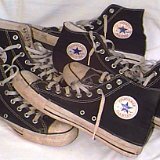 53 Worn Black High Top Chucks Worn pair of black high tops, set top to top. 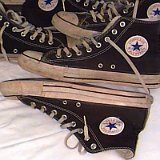 54 Worn Black High Top Chucks Worn black high tops, side view. 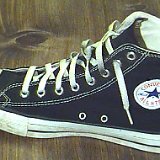 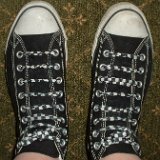 55 Worn Black High Top Chucks Decorated black high top chucks, inside patch views. 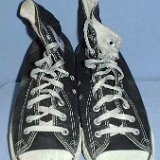 56 Worn Black High Top Chucks Well worn black high tops, angled side view. 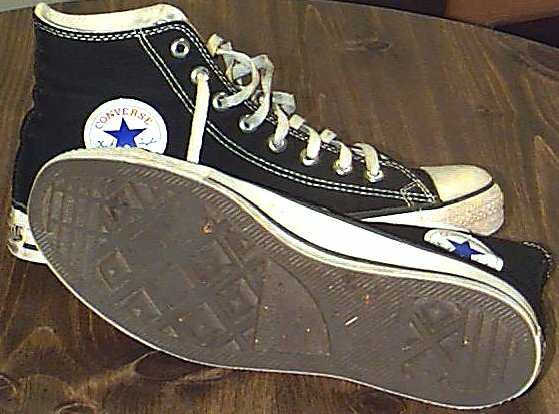 57 Worn Black High Top Chucks Worn left black high top, inside patch view. 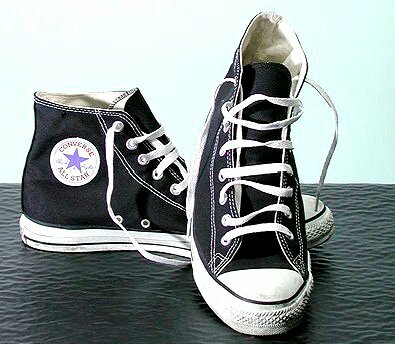 58 Worn Black High Top Chucks Worn black high tops, angled rear view. 59 Worn Black High Top Chucks Trashed vintage black high tops, inside patch views. 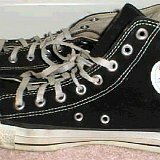 60 Worn Black High Top Chucks Worn black high tops, side view. 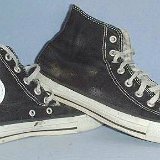 61 Worn Black High Top Chucks Worn black high tops, angled front and side views. 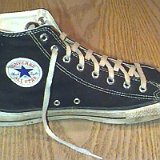 62 Worn Black High Top Chucks Worn black high tops, inside patch views. 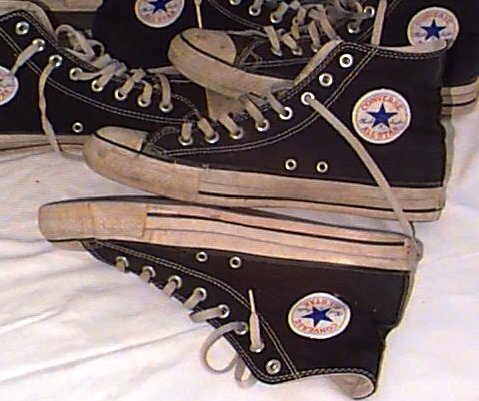 63 Worn Black High Top Chucks Worn black high tops, angled read and top view. 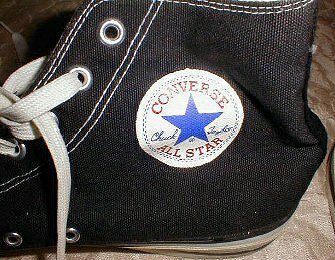 64 Worn Black High Top Chucks Closeup of the inside patch on a right black high top. 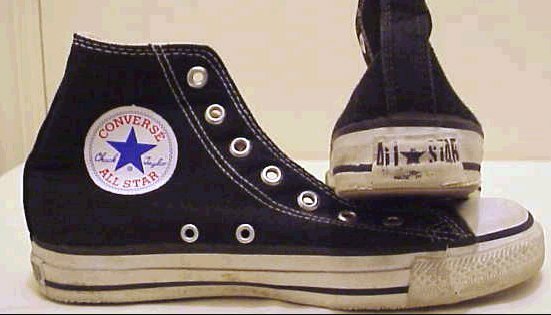 65 Worn Black High Top Chucks Worn right black high top, inside patch view. 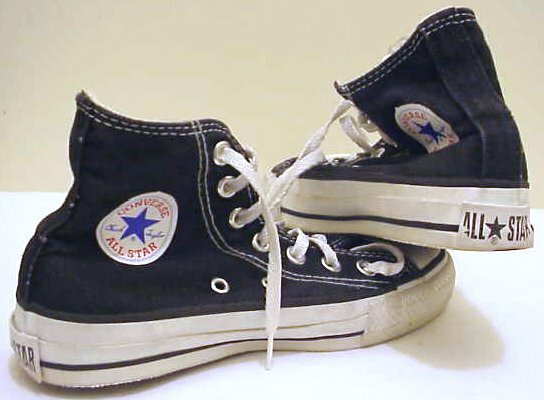 66 Worn Black High Top Chucks Worn black high tops with black laces, angled side and top view. 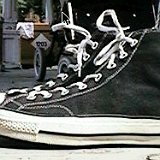 67 Worn Black High Top Chucks Worn black high tops with black laces, top view. 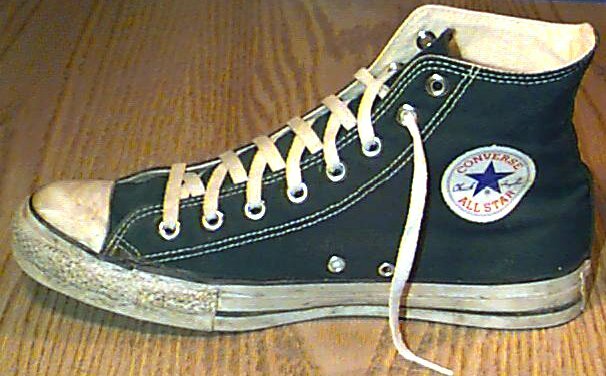 68 Worn Black High Top Chucks Worn right black high top, inside patch view. 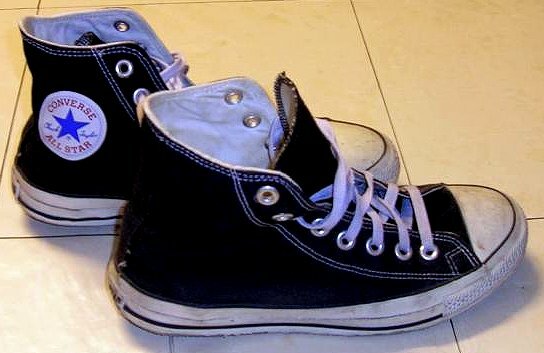 69 Worn Black High Top Chucks Worn black high tops, front view. 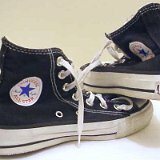 70 Worn Black High Top Chucks Worn black high tops, side view. 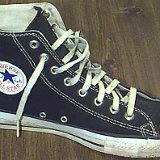 71 Worn Black High Top Chucks Worn black high tops, front view. 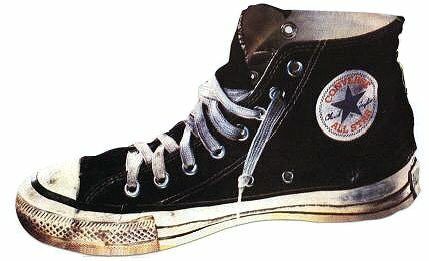 72 Worn Black High Top Chucks Worn black high tops, angled rear patch view. 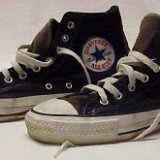 73 Worn Black High Top Chucks Worn black high tops, side and rear views. 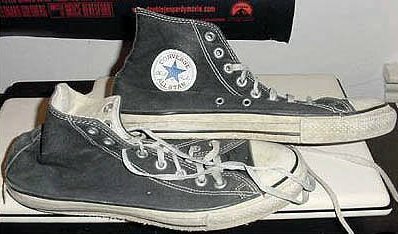 74 Worn Black High Top Chucks Worn left black high top, angled inside patch view. 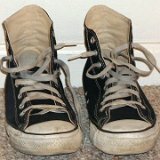 75 Worn Black High Top Chucks Worn black high tops, inside patch views. 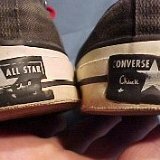 76 Worn Black High Top Chucks Worn right black high top, inside patch view. 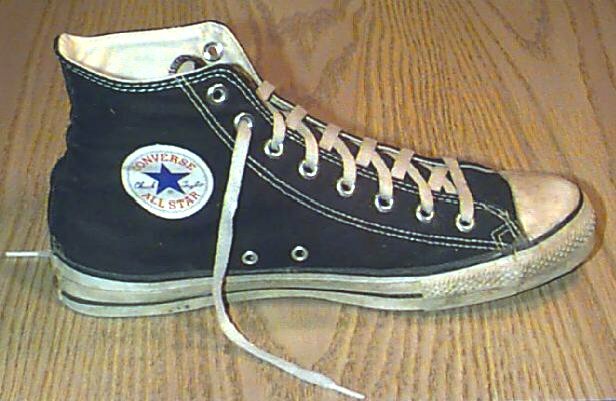 77 Worn Black High Top Chucks Worn right black high top, inside patch view. 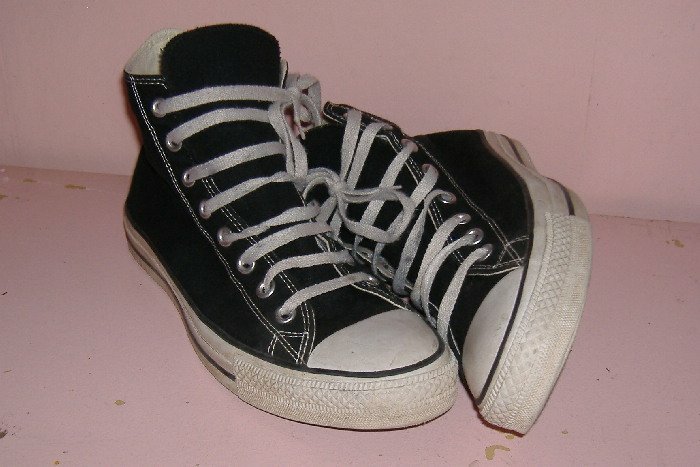 78 Worn Black High Top Chucks Worn black high tops, angled front view. 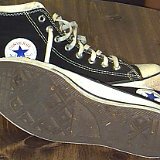 79 Worn Black High Top Chucks Worn black high tops, sole and inside patch views. 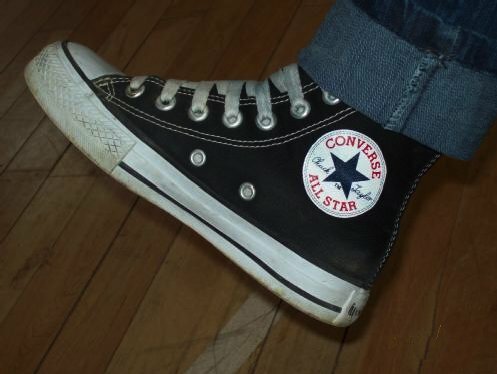 80 Worn Black High Top Chucks Worn right black high top, angled inside patch view. 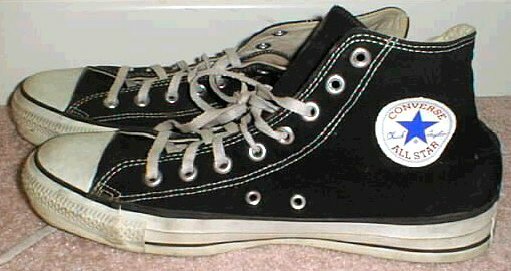 81 Worn Black High Top Chucks Worn black high tops, angled inside patch and top views. 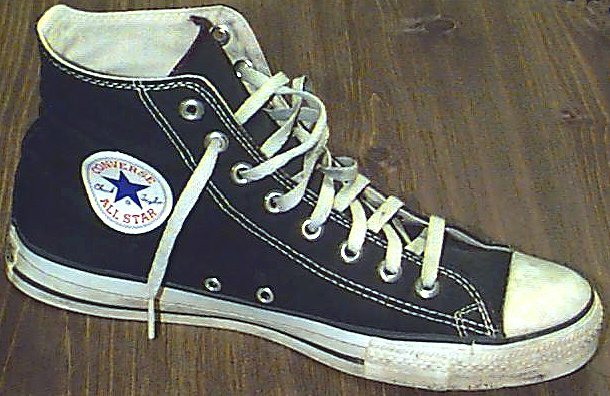 82 Worn Black High Top Chucks Worn left black high top, inside patch view. 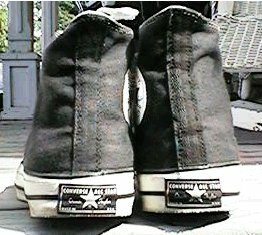 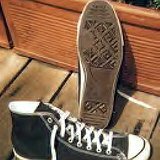 83 Worn Black High Top Chucks Worn black high tops, inside patch views (black and white photo). 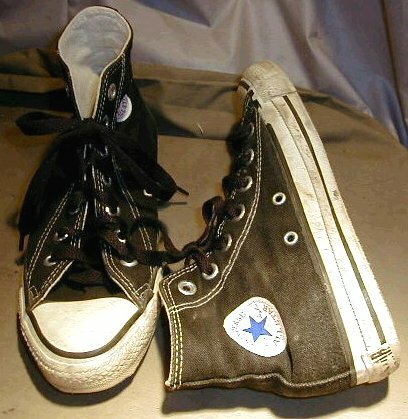 84 Worn Black High Top Chucks Worn black high tops with black laces, inside patch and front views. 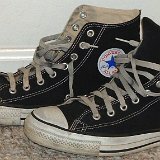 85 Worn Black High Top Chucks Worn black high tops, side view. 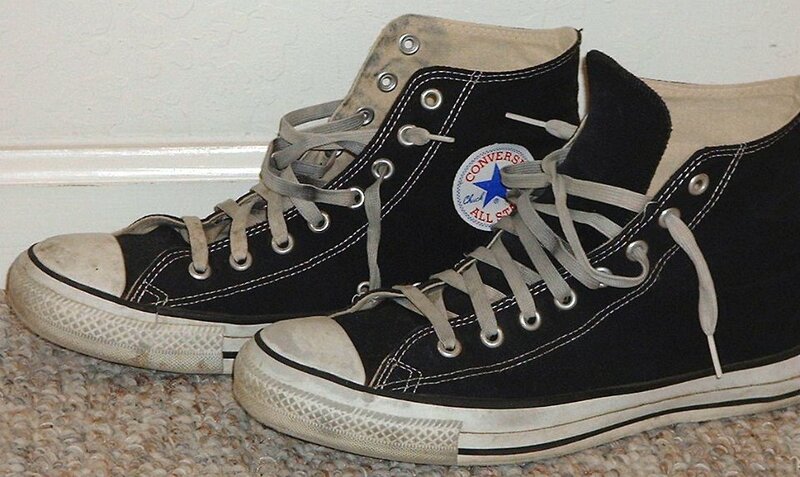 86 Worn Black High Top Chucks Worn black high tops, top view. 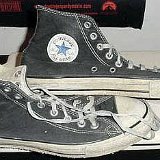 87 Worn Black High Top Chucks Worn black high tops, side view. 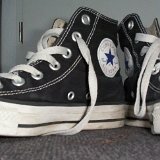 88 Worn Black High Top Chucks Worn black high tops, outside and sole views. 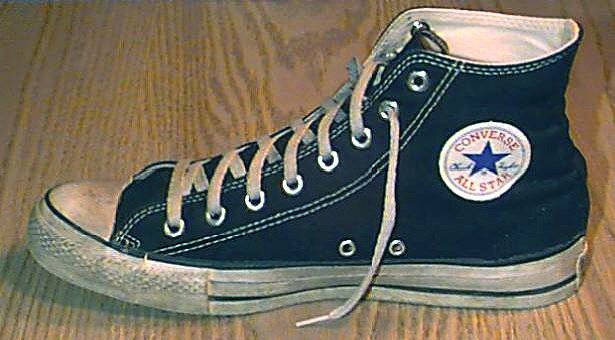 89 Worn Black High Top Chucks Worn black high tops, inside patch and rear heel patch views. 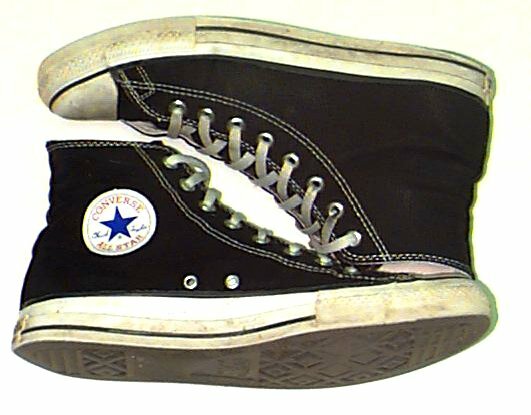 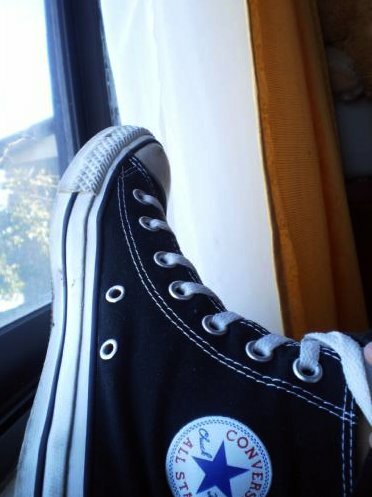 90 Worn Black High Top Chucks Worn black high tops without laces, inside patch and heel patch views. 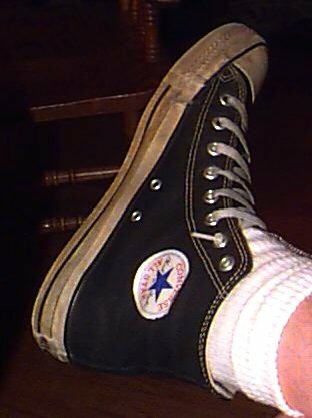 91 Worn Black High Top Chucks Worn black high tops with hiking laces, inside patch and heel patch views. 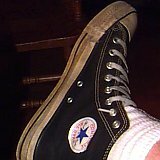 92 Worn Black High Top Chucks Lightly worn black high tops, angled inside patch views. 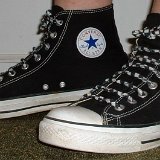 93 Worn Black High Top Chucks Worn black high tops, inside patch and top views. 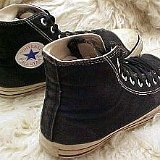 94 Worn Black High Top Chucks Lightly worn black high tops with straight lacing, top and inside patch views. 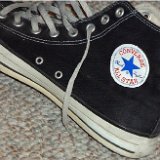 95 Worn Black High Top Chucks Lightly worn black high tops, closeup from the floor. 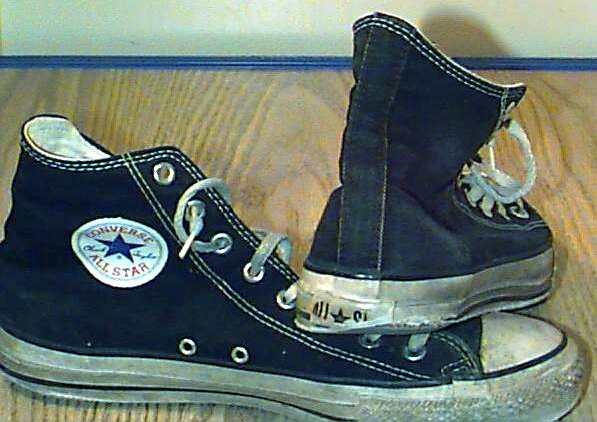 96 Worn Black High Top Chucks Rear view of lightly worn black high tops. 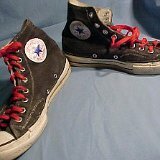 97 Worn Black High Top Chucks Front view of a right black high top with red laces. 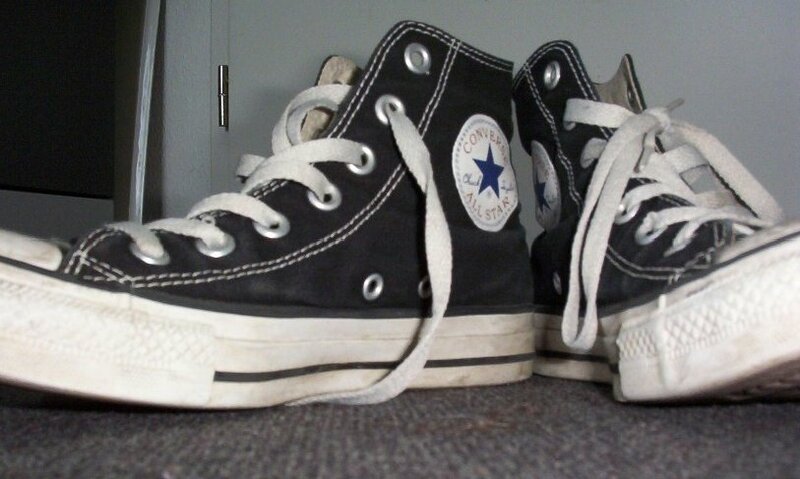 98 Worn Black High Top Chucks Unlaced black high tops, top view. 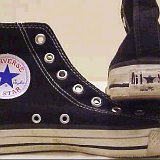 99 Worn Black High Top Chucks Several pairs of worn black high tops, inside patch view. 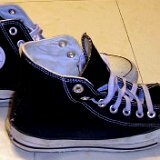 100 Worn Black High Top Chucks Several pairs of worn black high tops. 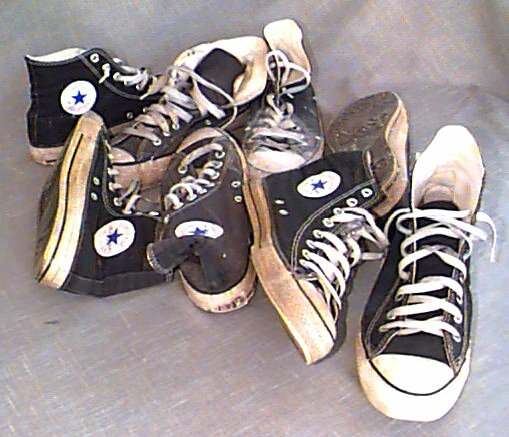 101 Worn Black High Top Chucks Four pairs of worn black high tops. 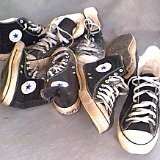 102 Worn Black High Top Chucks Four pairs of well worn black high tops. 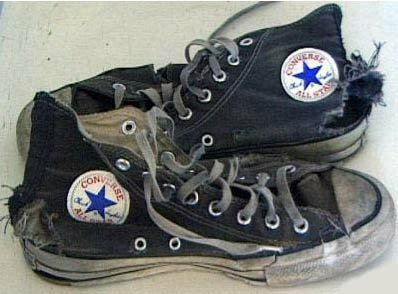 The classic American sneaker in action and broken in.